One night over drinks at a conference in San Jose, Miles Padgett, a physicist at Glasgow University in Scotland, was chatting with a colleague about whether or not they could make light go slower than its “lawful” speed in a vacuum. “It’s just one of those big, fundamental questions you may want to ask yourself at some point in the pub one night,” he told BBC News. Though light slows down when it passes through a medium, like water or air, the speed of light in a vacuum is usually regarded as an absolute. Image: Flickr user Steve Oldham, adapted under a Creative Commons license. This time, the pub talk proved to be a particularly fruitful exchange. Last month, Padgett and his collaborators made headlines when they revealed their surprising success: They raced two photons down a one-meter “track” and managed to slow one down just enough that it finished a few millionths of a meter behind its partner. The experiment showed that it is possible for light to travel at a slower speed even in free space—and Padgett and his colleagues did it at the scale of individual photons. 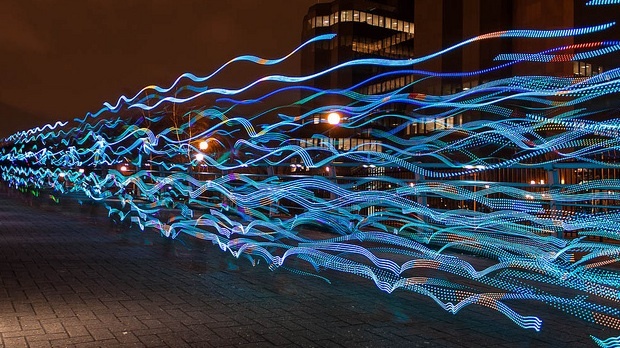 The notion that light has a particular speed, and that that speed is measurable, is relatively new. Prior to the 17th century, most natural philosophers assumed light traveled instantaneously. Galileo was one of the first to test this notion, which he did with the help of an assistant and two shuttered lanterns. First, Galileo would lift the shutter on his lantern. When his assistant, standing some distance away, saw that light, he would lift the shutter on his lantern in response. Galileo then timed how long it took for him to see the return signal from his assistant’s lantern, most likely using a water clock, or possibly his pulse. “If not instantaneous, it is extraordinarily rapid,” Galileo concluded, estimating that light travels at about ten times the speed of sound. Over the ensuing centuries, many other scientists improved upon Galileo’s work by devising ingenious new methods for measuring the speed of light. Their results fell between 200,000 kilometers per second, recorded in 1675 by Ole Roemer, who made his measurement by studying eclipse patterns in Jupiter’s moons, and 313,000 kilometers per second, recorded in 1849 by Hippolyte Louis Fizeau, who sent light through a rotating tooth wheel and then reflected it back with a mirror. The current accepted value is 299,792.458 kilometers per second, or 669,600,000 miles per hour. Physicists represent this value with the constant c, and it is broadly understood to be the cosmic speed limit: all observers, no matter how fast they are going, will agree on it, and nothing can go faster. This limit refers to the speed of light in a vacuum—empty space, with no “stuff” in it with which light can interact. Light traveling through air, water, or glass, for example, will move more slowly as it interacts with the atoms in that substance. In some cases, light will move so slowly that other particles shoot past it. This can create Cherenkov radiation, a “photonic boom” shockwave that can be seen as a flash of blue light. 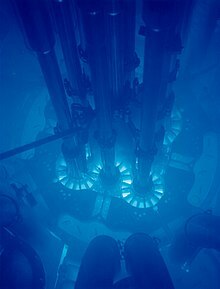 That telltale blue glow is common in certain types of nuclear reactors. (Doctor Manhattan, the ill-fated atomic scientist in Alan Moore’s classic “Watchmen” graphic novel, sports a Cherenkov-blue hue.) It is useful for radiation therapy and the detection of high-energy particles such as neutrinos and cosmic rays—and perhaps one day, dark matter particles—none of which would be possible without the ability of certain materials to slow down light. First predicted in the 1920s by Albert Einstein and the Indian physicist Satyendra Bose, BEC wasn’t achieved in the lab until 1995. The Nobel Prize winning research quickly launched an entirely new branch of physics, and in 1999, a group of Harvard physicists realized they could slow light all the way down to 17 miles per hour by passing it through a BEC made of ultracold sodium atoms. Within two years, the same group succeeded in stopping light completely in a BEC of rubidium atoms. What was so special about the recent Glasgow experiments, then? Usually, once light exits a medium and enters a vacuum, it speeds right back up again, because the reduced velocity is due to changes in what’s known as phase velocity. Phase velocity tracks the motion of a particular point, like a peak or trough, in a light wave, and it is related to a material’s refractive index, which determines just how much that material will slow down light. The Glasgow researchers used a special liquid crystal mask to impose a pattern on one of two photons in a pair. Because light can act like both a particle and a wave—the famous wave-particle duality—the researchers could use the mask to reshape the wavefront of that photon, so instead of spreading out like an ocean wave traveling to the shore, it was focused onto a point. That change in shape corresponded to a slight decrease in speed. To the researchers’ surprise, the light continued to travel at the slightly slower speed even after leaving the confines of the mask. Because the two photons were produced simultaneously from the same light source, they should have crossed the finish line simultaneously; instead, the reshaped photon lagged just a few millionths of a meter behind its partner, evidence that it continued to travel at the slower speed even after passing through the medium of the mask. Padgett and his colleagues are still pondering the next step in this intriguing line of research. One possibility is looking for a similar slow-down in light randomly scattered off a rough surface. His nonchalance might strike non-physicists as strange: Shouldn’t this be momentous news poised to revolutionize physics? As always, there are caveats. When it comes to matters of light speed, it’s important to read the fine print. In this case, one must be careful not to confuse the speed at which light travels, which is just a feature of light, with its central role in special relativity, which holds that the speed of light is constant in all frames of reference. If Galileo measures the speed of light, he gets the same answer whether he is lounging at home in Pisa or cruising in a horse-drawn carriage. The same goes for his trusty assistant. This still holds true, centuries later, despite the exciting news out of Glasgow last month. If you sweep a laser pointer across the Moon fast enough, you can create spots that actually move faster than light. Anyone can do it. At a meeting of the American Astronomical Society in Seattle, Wash., today, Robert Nemiroff, a physics professor at Michigan Technological University, reported that this theoretical curiosity may turn out to be practically useful out in the cosmos. When a superluminal sweep occurs, it typically starts with a flash that may reveal previously unknown three-dimensional information about the scattering object. Flashes, dubbed “photonic booms” because they are directly analogous to sonic booms, may be detectable on the Moon, on passing asteroids, on fast moving shadows cast on reflecting dust clouds near variable stars, and on objects illuminated by the rapidly rotating beam of a pulsar, said Nemiroff, author of a study accepted for publication by the Publications of the Astronomical Society of Australia, with a preliminary version available online. “And if detected, we could learn more about all of these objects,” said Nemiroff. “The concept, although not proven in practice, is quite intriguing,” said Rosanne Di Stefano, a leading researcher at the Harvard-Smithsonian Center for Astrophysics. To reveal the size and surface features of asteroids passing near the Earth, a laser beam might be swept across the rock’s surface thousands of times a second, with each sweep forcing a harmless but telling photonic boom. The flashes could be recorded with high-speed cameras attached to large telescopes, potentially mapping out major features on the asteroid. Photonic booms could also be seen much farther out in the universe. 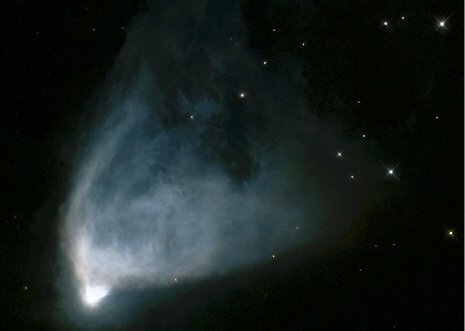 An example occurs in Hubble’s Variable Nebula in the constellation of Monoceros. There, shadows cast by clouds moving between the bright star “R Mon” and reflecting dust move so fast that they might create photonics booms visible even for days or weeks. The physics that creates the photonic boom is tied to the faster-than-light sweep speeds of the illuminating spots and cast shadows. Specifically, a flash is seen by an observer when the speed of the scattered spot toward the observer drops from above the speed of light to below the speed of light. The phenomenon is possible only because the spots contain no mass and so cannot only move faster than light, but decelerate past the speed of light without violating Einstein’s theory of special relativity. Details of the effect hinge on the interplay between the time it takes for a sweeping light beam to cross an object, and the time it takes for the light beam to traverse the depth of the object. Therefore, measuring photonic booms gives information about the depth of the scatterer. Were the Moon just a flat disk on the sky, for example, no photonics boom would occur. The light flash from a photonic boom is quite different from well-known Cherenkov radiation, light emitted when a charged object breaks the speed of light inside transparent matter, he notes. 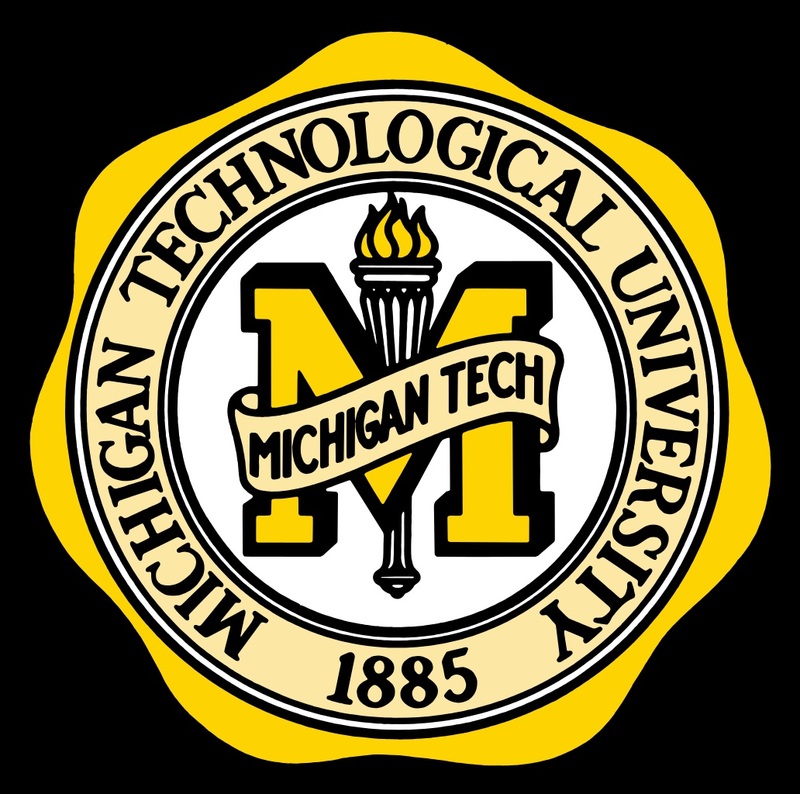 Michigan Technological University (http://www.mtu.edu) is a leading public research university developing new technologies and preparing students to create the future for a prosperous and sustainable world. Michigan Tech offers more than 130 undergraduate and graduate degree programs in engineering; forest resources; computing; technology; business; economics; natural, physical and environmental sciences; arts; humanities; and social sciences. The College of Sciences and Arts (CSA) fills one of the most important roles on the Michigan Tech campus. We play a part in the education of every student who comes through our doors. We take pride in offering essential foundational courses in the natural sciences and mathematics, as well as the social sciences and humanities—courses that underpin every major on campus. With twelve departments, 28 majors, 30-or-so specializations, and more than 50 minors, CSA has carefully developed programs to suit many interests and skill sets. From sound design and audio technology to actuarial science, applied cognitive science and human factors to rhetoric and technical communication, the college offers many unique programs. The speed of light in a vacuum is 299,792,458 m s–1, right? Not necessarily, according to a team of physicists in the UK, which has found that the speed of an individual photon decreases by a tiny amount if it is initially sent through a patterned mask. The phenomenon – which is different to other observations of slow light – should also occur for sound waves, the researchers say. 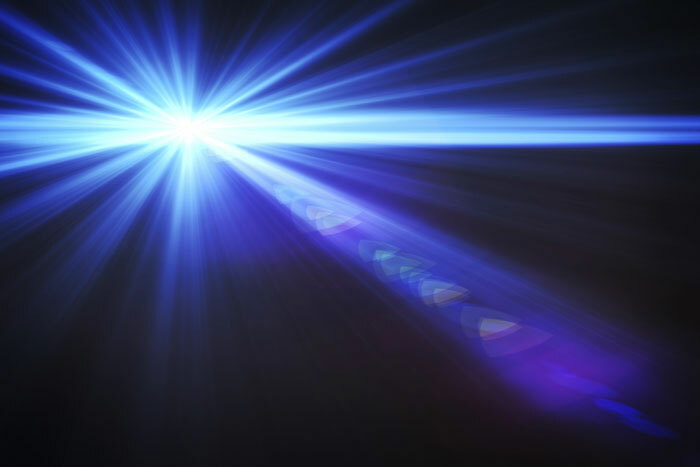 The speed of light has been measured since as far back as the 17th century, but it was not until the 1970s that physicists settled on a value that was accurate in a vacuum to just a few parts per billion. In 1983 that value became the official value, fixed against a new definition of the metre in the International System of Units. And an important value it is, for according to [Albert] Einstein’s special theory of relativity, the speed of light in a vacuum, c, is the maximum speed obtainable by any entity – no matter what inertial frame of reference it is measured in. Of course, light can appear to slow down if it travels through a dense medium – a result of the photons having to interact with the medium and take an indirect route through it. In water, the speed of light is roughly 225,000,000 m s–1, while in glass it is roughly 200,000,000 m s–1. The change can be even more drastic – particularly in highly “nonlinear” materials, in which light’s speed can be reduced to just a few metres per second. Strange effects can also occur in a vacuum, including the Gouy phase shift, which happens when a beam of light is focused to a point and results in a tiny increase in its “phase velocity”. Now it seems that physicists have come up with a new way of changing the speed of light in a vacuum. 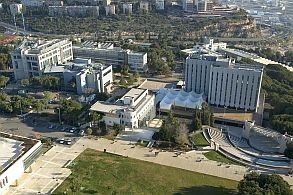 Over two years, Miles Padgett and colleagues at the University of Glasgow, together with Daniele Faccio of Heriot-Watt University in Edinburgh, designed an experiment that can determine whether light with a certain “spatial structure” travels substantially slower than regular light in a vacuum. The researchers created a source that emitted pairs of photons simultaneously. One of the photons went straight to a highly precise photon counter, while the other went via two liquid-crystal masks, which imparted their profile onto the passing particle of light. Across a propagation distance of 1 m, the team found that the spatially structured photon lagged behind its partner by between 10 and 20 wavelengths. That equated to a drop in speed of about 0.001%, says team member Jacquiline Romero. There are many ways of defining the speed of light: phase velocity, peak velocity, information velocity – definitions abound. Padgett and colleagues stick to the group velocity, which is a measure of how fast the envelope of an electromagnetic wave moves. When a beam of light passes through a mask, some of its constituent rays will continue to propagate at a slight angle to the beam’s axis. These rays have to travel farther, therefore the group velocity of the entire envelope falls – and this is what the researchers observed. The reliance on group velocity might seem like an important footnote, but the researchers believe that the use of single photons in their experiment should remove any ambiguities in interpretation. “One of the nice things about our work is that we have taken the simple case of single photons, which when observed make a detector go ‘click’,” says Padgett.